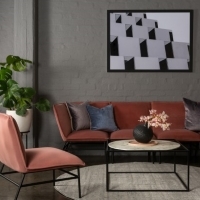 Event stylists, Valiant Hire welcomed guests to their Sydney showroom this week (9 April) for a preview of a new collection, Baroque & French Nouveau. Guests enjoyed Culinary Edge canapés and Bird in Hand wines while seeking inspiration for their next event. Guests were able to browse the showroom and gain design and themeing inspiration. With over 50 years experience, Valiant Hire offers some of the most exclusive and glamorous furniture from all over the world (think Herman Miller, blofield Air design and Frank Gehry) while much of the items are custom made. Valiant Hire offers some of the most exclusive ranges. Valiant work in themes not random items, so if you are looking at all gold, all red or even all black they have it. Included in the dazzling mix is the new Wedding Room, where brides can have private consultations on the décor for receptions.